Nine indie developers have teamed up as part of a new sale on Switch. Starting today and lasting through January 15, system owners can save up to 35% on select games. Note that while prices are in US dollars, the sale is taking place in North America, Europe, and Australia/New Zealand, with the same percentage discounts in all regions. You should see the new prices when the eShop updates at the appropriate times around the world (so it should be 9 AM PT / 12 PM ET for instance). Also, the developers involved with the sale are hosting a giveaway. One winner will receive access to all nine games included in the sale. You can participate here. 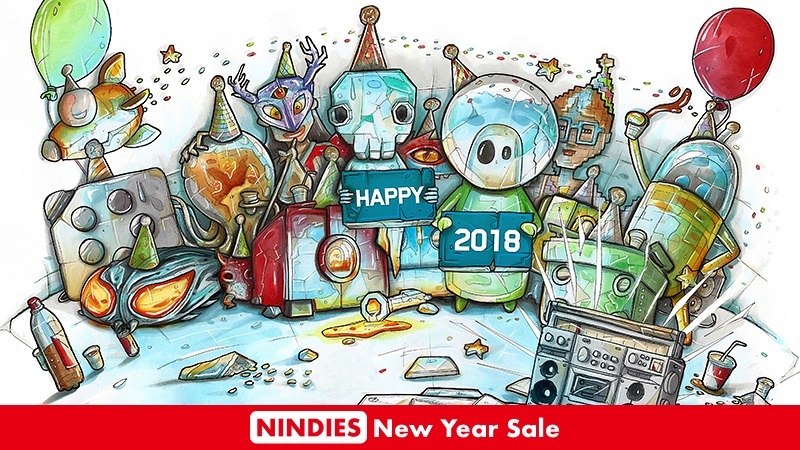 And finally, all of the developers involved in the Nindies New Year Sale will be doing a group AMA on Reddit today. It’s set to begin at 11 AM PT / 2 PM ET / 7 PM in the UK / 8 PM in Europe here.